Due to the nature of production, we don’t always get all relevant information before we arrive on set. We were told, “There’s a shoot Saturday in Bangor that involves some bands”. As far as Kenn and I assumed, we were shooting some local bands, but this ended up being one of the best surprises of the year. We were shooting a music festival that’s organized by alternative rock legends Seether, and featured bands like: Volbeat, Disturbed, Killswitch Engage and Alter Bridge. 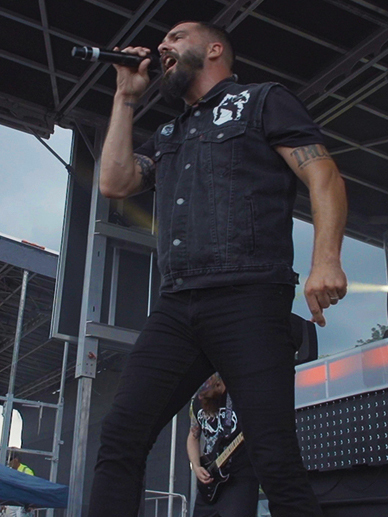 Metalcore legends Killswitch Engage get the crowd moving. After getting checked into security, we arrived at the second stage just as Hatebreed was finishing their set. As we prepped our gear, New England Metalcore legends Killswitch Engage took this stage. 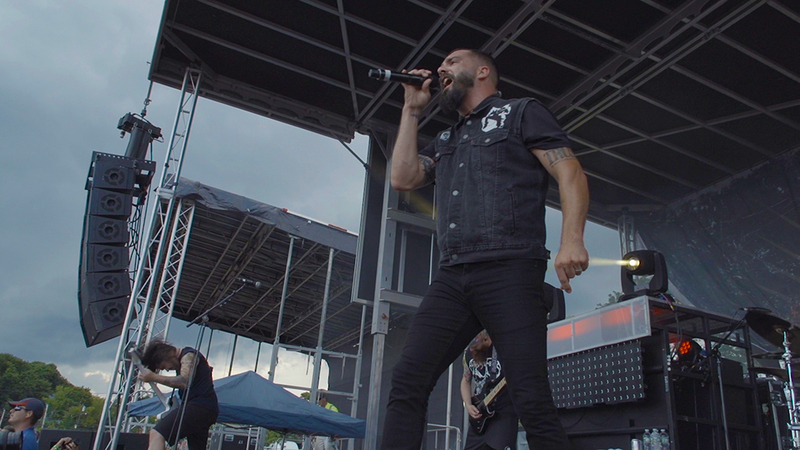 Not only was this a high energy set featuring the feature of KSE’s original signer Jesse Leach, but it was one of the first opportunities we’ve had to shoot one of our favorite bands. 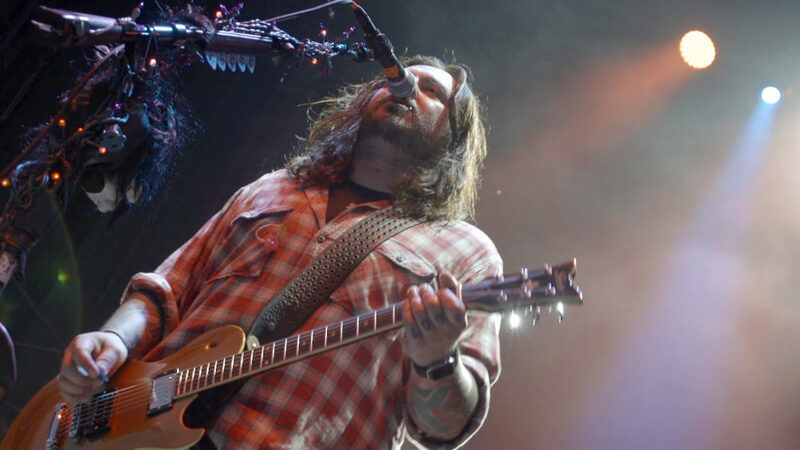 Once Killswitch wrapped their set, we headed towards the trailers and tour buses for some one-on-one time with our clients, Seether. The band was extremely humble, and through a series of interviews we learned that Shaun (singer) decided to start the festival after his brother committed suicide. Following the interviews, we attended a meet and greet with the band and a few hundred of their biggest fans. Several things struck me during that time. First, although this band plays hundreds of shows a year, they genuinely remembered fans that returned to see them. They shared stories of their own losses, and how much of a role the band’s music played in their healing process. I never thought I’d be so moved during an event like this. 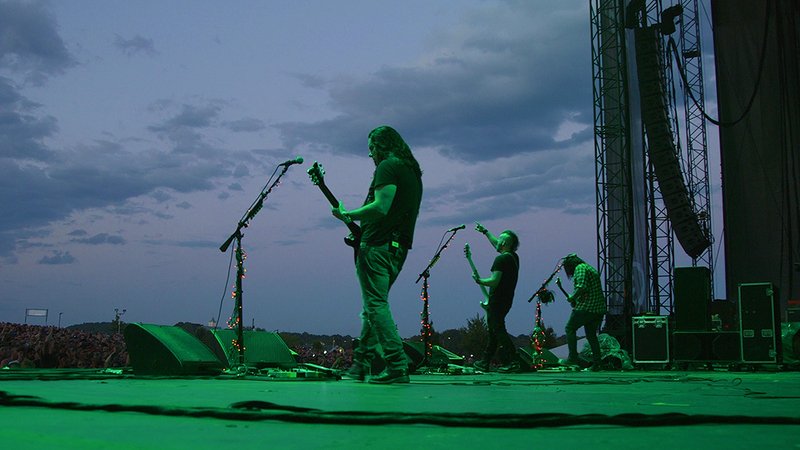 Seether takes the stage after an afternoon of meeting emotional fans. A concert in front of 10,000 screaming fans takes on a whole new view from up here.